Well, this was unexpected and shocking. The First Nations group that blockaded Imperial Metal’s Red Chris Mine after the company’s Mount Polley’s tailings dam breached last year has been ordered to pay the company’s legal costs. Red Chris Development Company, a subsidiary of Imperial, successfully asked the B.C. 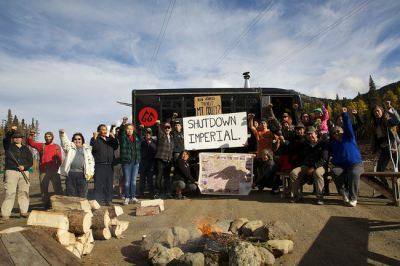 Supreme Court for an injunction and enforcement order to remove the Klabona Keepers’ blockade in November last year. The company is operating a copper and gold mine in northwest B.C.